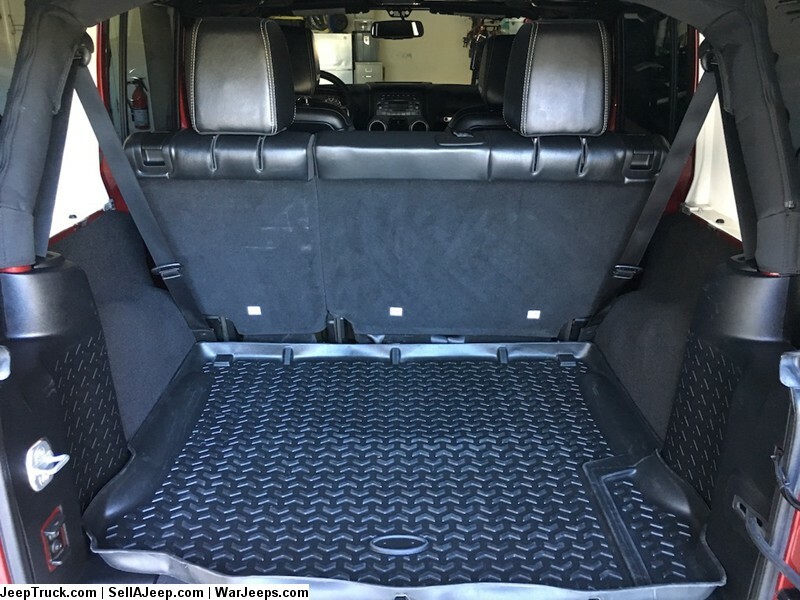 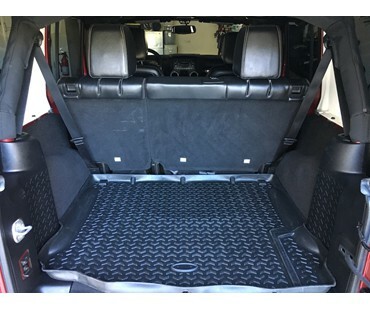 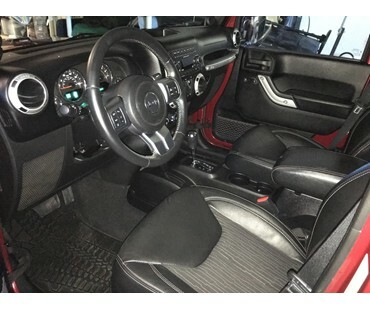 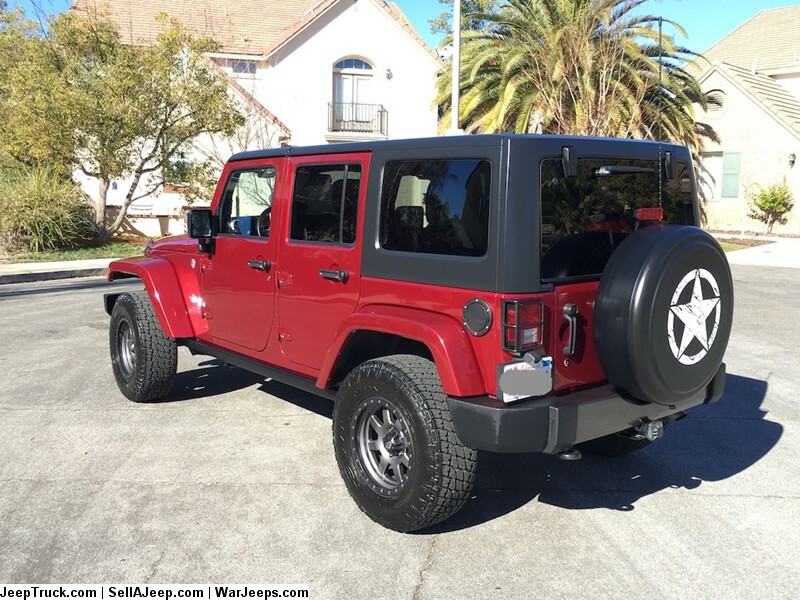 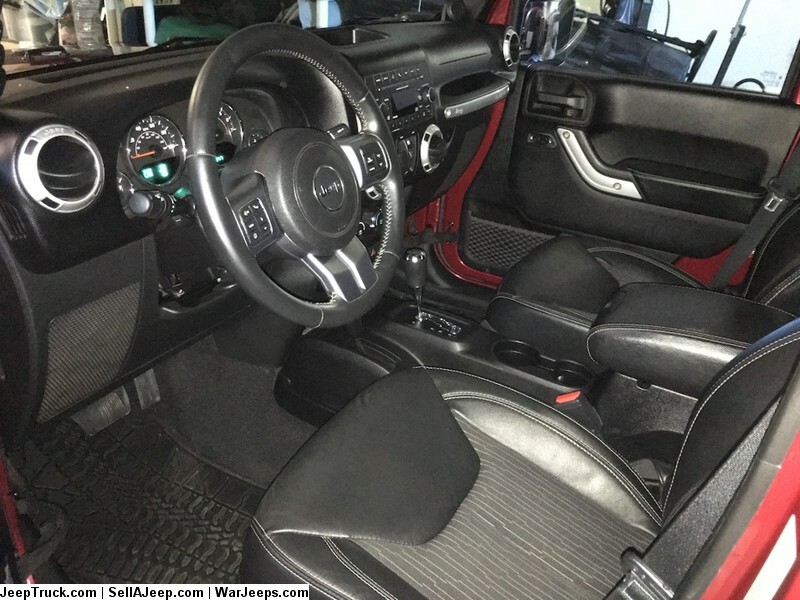 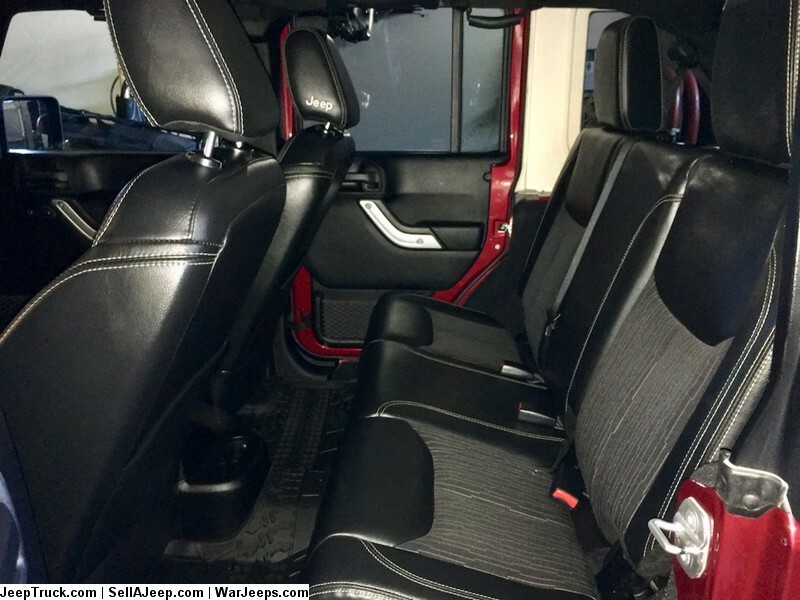 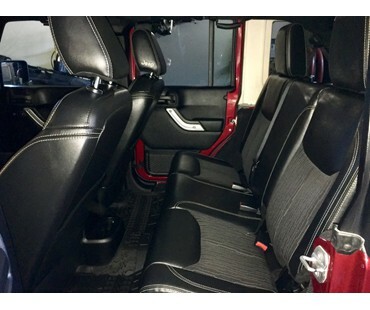 Jeeps For Sale and Jeep Parts For Sale - 2013 Jeep Wrangler Unlimited Freedom Edition 4X4 LOW MILES! 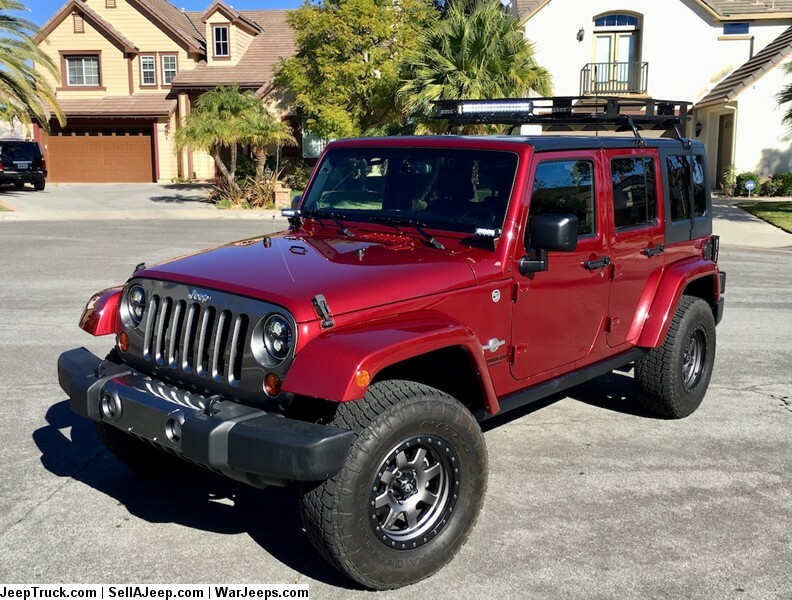 Original owner, non-smoker, no accidents, always garaged, only 26,347 miles, title in hand. 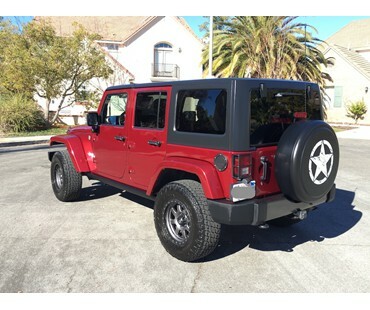 Deep Cherry Red Crystal Pearl with Black Freedom Edition Cloth/Leather seats; Automatic 3.6 Liter V6 24-Valve VVT Engine; 3-Piece Hard Top. 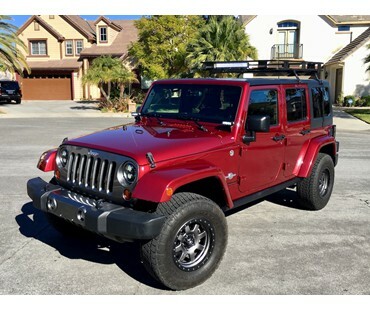 Extras - Surco Safari Rack (removable) with custom led lights (front light bar, front and rear independent strobes) and removable mounts, A-Pillar led lights, led headlights, A-Pillar interior light switch panel controlling all "off-road" lights, Rancho 2" Lift Sport System with RS9000XL Shocks, Nitteo G2 LT285/70R17 121/118S Tires (purchased/installed 3/17), MHT Fuel Trophy D552 Wheels 17"; Rock Rails; full size spare with cover.